Warts is a benign skin condition which can be pretty embarrassing if the warts show up on your face or neck. The appearance of even one wart can be enough to destroy your self-confidence and pose a threat of further spreading of the infection. If you scratch or cut a wart while shaving, you are running the risk of spreading the warts virus onto surrounding skin which can result in more warts growing on your face or neck. Facial warts are caused by human papilloma virus (HPV). They are small in size and they are red or pink, yellowish, brown or skin colour. They can be flat and smooth surfaced or they can grow outwards from the surface of the skin in the form of tiny stubs. The latter type usually appears on eyelids and neck. 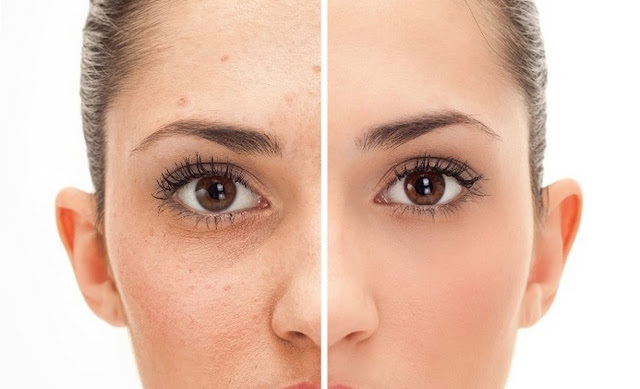 If you decide to cure facial warts on your own, you will have to be careful not to use evasive methods because you do not want to cause skin irritation or create scars. Aloe Vera treatment is the least evasive of all warts treatments and completely painless. Aloe Vera is famous for its healing properties and when applied on warts it makes them shrink and disappear after some time. If you have Aloe Vera plant at home you can squeeze out some oil from its leaves and rub it onto your wart until it is nicely soaked. You should do this several times a day. If you do not have the Aloe Vera plant, you can buy Aloe Vera gel in the local pharmacy and follow the same procedure. To speed up the process, you can soak a piece of cotton with the gel and fix it with medical tape onto your wart during the night. The wart should disappear from a few days to a few weeks time. Tea tree oil is another effective warts remedy mostly because of its anti-viral properties. Tea tree oil can be rather strong so dilute it with water before you apply it on your wart - 50% tea tree oil and 50% Aloe Vera gel or water. The treatment is similar to the Aloe Vera treatment. Apply tea tree oil several times a day onto your wart and during the night, place a bandage with tea tree oil over it. If there is little effect you can use pure tea tree oil instead of diluted. It will probably take a few days to a few weeks to completely remove warts. There are some OTC remedies that can be used to treat facial warts. One of them is Heal Warts Treatment which contains natural essential oils. It is completely painless, it can be used to cure small children, and the first results are visible in a week or two. Whichever of remedies you decide to use to cure facial warts make sure they do not get in contact with your eyes. You will have to be patient when fighting your facial warts. They will not disappear overnight but you will be able to see the initial results after the first few treatments. In the meantime, do not share your towels and skin products with other people and try not to scratch or cut your warts. Refrain from kissing and hugging because HPV virus can be transmitted through skin to skin contact.